Wake up to be the ‘Ultra-chic’ avatar of your own self when you fill your closet with stylish pieces like this Style Sizzle Tomato Red Georgette Tunic for Women with Embroidery designed by Snehal Creations. 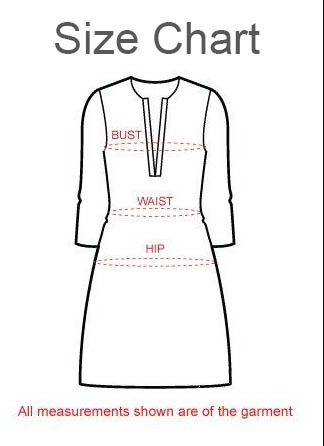 The georgette tunic is designed to have a ban collar neck and three fourth sleeves with rounded edges at the base. A unique embroidery pattern adorns the tunic on either sides of the neck panel and breathes zest into the look of the piece. March with pride for this piece is one for its kind, when it comes to design!